Most homes today looks elegant, expensive and exquisite. When you walk in, you admire the sitting room so much that you never want to leave and you keep thinking why yours is not as beautiful. Well, the secret is not far-fetched. Have you checked the lighting system in your house? Your home deserves a quality look and what else would give that house a better look than the lighting system? What you need to transform the look of your home is not as expensive as you think and it is completely worth it because you will be fulfilled whenever you walk into your sitting room. 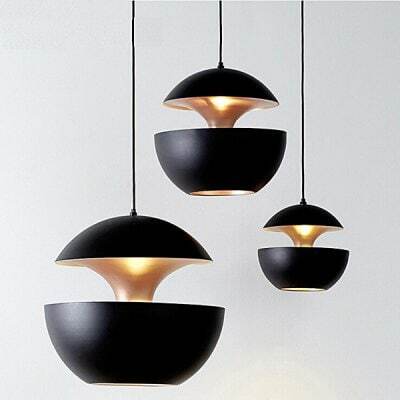 There is currently a wonderful lighting product on Gearbest which will interest you, it is the Nordic aluminum mushroom chandelier. 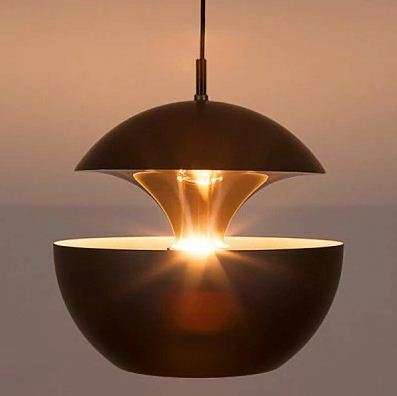 The mushroom shape of this light gives the home a premium look which will definitely attract attention. The Nordic aluminum mushroom chandelier has a unique mushroom chandelier design, which does not just brightens your home but also decorates it. It is built with high-quality, high-grade aluminum and it comes with a 120cm hanging chain which is adjustable thus it gives you any length you need. This product is perfect for the bathroom, study room, kitchen, balcony, hotel, corridor, restaurant, garden, exhibition hall, entrance, etc. The Nordic aluminum mushroom chandelier comes with an E27 bulb and a control switch. The hanging plate has a diameter of 10cm thus it is not too bogus and will not occupy a large area when installed. This product is very portable as it weighs only 500 grams with a dimension of 35.00 x 35.00 x 30.00 cm thus you don’t have to worry about the structural integrity of your ceiling because this chandelier will have little or no effect on it. This product has a lifespan of 6 years which is much larger than what you have on most products. The Nordic aluminum mushroom chandelier is currently available on Gearbest for $173.91.